Tucked up near the coast of northern Flemish Region of Belgium, also known as Flanders, lies the incredible medieval city of Bruges (French), or Brugge (Flemish Dutch). In many ways, it’s like walking back in time. The older canal-based area is a UNESCO World Heritage site. The name is thought to originate from the Old Dutch word for “bridge,” understandably, they are everywhere. 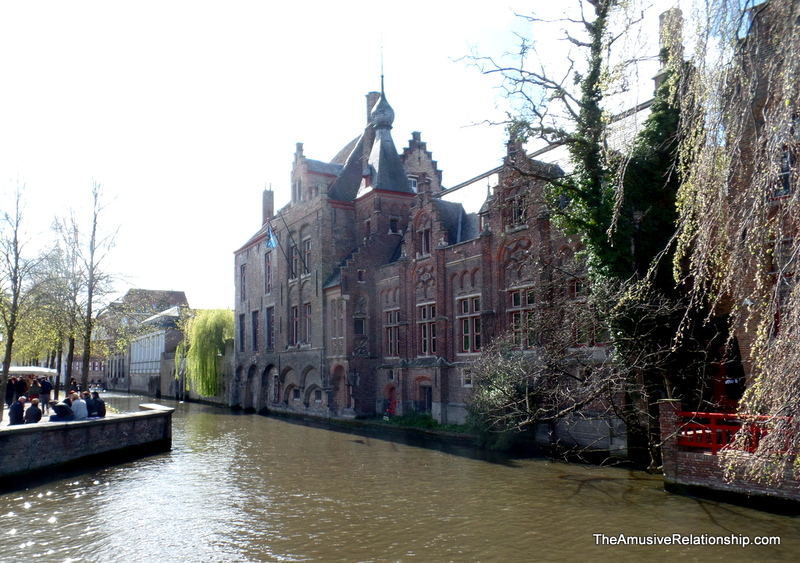 In fact, the entire city is surrounded by a long canal which serves to delineate the old from the new. Similar to Amsterdam, Netherlands and Stockholm, Sweden, the city incorporates a series of canals that run throughout providing a lovely backdrop for scenic walks or a romantic ride in a canal boat. Because of its canal-defined size and troubles with its canal system that caused a decline in trade, much of the central city is relatively unchanged from its heyday in the late Middle Ages. Most of the city was also spared damage during the conflict-ridden 20th century, so the architecture has remained unchanged. This time capsule effect has made it a popular tourist destination, so it did not take city managers long to realize keeping things as they are meant revenue. Building codes dictate that even more modern buildings maintain the general theme of the city, at least within the central canal zone. The Lowlands of Northern Europe, collectively the modern countries of Netherlands, Belgium, and Luxembourg, have a long history of economic strength. In particular, the area of “Flanders has figured prominently in European history. During the late Middle Ages, cities such as Ghent, Bruges, Antwerp and Brussels made it one of the richest and most urbanized parts of Europe, weaving the wool of neighbouring lands into cloth for both domestic use and export. As a consequence, a very sophisticated culture developed, with impressive achievements in the arts and architecture, rivaling those of northern Italy. Belgium was one of the centres of the 19th century industrial revolution but Flanders was at first overtaken by French-speaking Wallonia. In the second half of the 20th century, however, Flanders’ economy modernised rapidly, and today Flanders is more wealthy than its southern counterpart.” (Wikipedia). 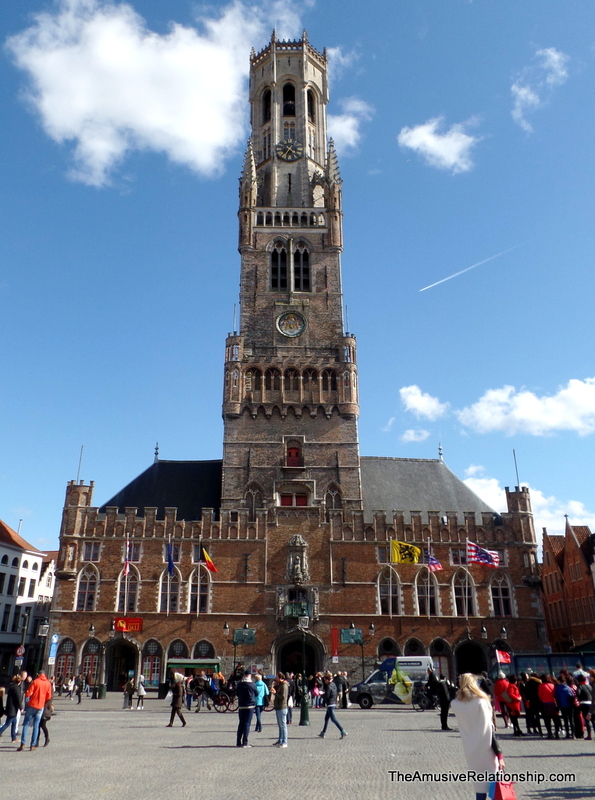 In fact, Bruges was the location of the first stock exchange. Happily, through Couchsurfing, I met up with a local Belgian, Constantijn, who was nice enough to show me around the city, including a long climb up the Belfry, a tribute to the city’s independence. It was great hearing history from someone passionate about his city and country, plus he knew a great pub! Anyone venturing to Bruges, be sure to look him up for great conversation and good company.